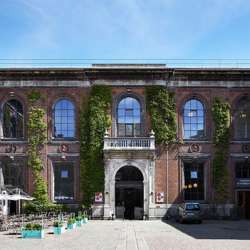 The Charlottenborg Spring Exhibition is one of the most important open, censored exhibitions in Europe and has been held annually at Charlottenborg since Protected content . It originated as an exhibition showing new works by Danish artists, but today includes participants from many countries. Over the years, the exhibition has presented works by great internationally renowned artists such as Alvar Aalto, Per Kirkeby, Olafur Eliasson, Superflex and many others. This year 45 Danish and international artists and artist groups has been selected by the jury among the Protected content . A total of 78 works are on display this year created by well-established artists, but also by emerging talents from Denmark and Europe as well as Iran, Israel, South Korea, Turkey and USA. DJs Slow Coach Club provides music all night and Apollo Kantine serves the dish of the day for 85 DKK. Admission is free and everyone is welcome!